Big things didn’t scare her. She was up for the challenge. She had grit. She had drive. Blood. Sweat. Tears. The secret to her success? Thoughts. True thoughts lead to courageous words, which lead to bold actions. Success does not depend on talent, resources or smarts. Success is determined by mindset. God is all about a growth mindset. In an earlier post, we learned a Spiritual Fixed Mindset believes I can’t because God can’t or won’t. This mindset is marked by negative self-talk, playing it safe, living small, and walking in fear. But a Spiritual Growth Mindset says I can because God can. This mindset is about hope, faith, dreams and Truth. “I can do all things through Jesus Christ who strengthens me.” That’s what I’m talking about. Spiritual Growth Mindset believes God has called and gifted each person to be highly effective and fruitful within their sphere of influence. This mindset believes God redeems all sin no matter how deep, how wide or how ugly. A Spiritual Growth Mindset also embraces the truth God uses all things for the good of those who love Him and are called according to His purpose. God-talk. Speaking God’s words. Speaking about God’s goodness. Faith. Living by faith. Thinking by faith. Praying by faith. Planning by faith. Focus. Eyes riveted on God and His will. All the time. Thankfulness. Thanking God for what He has done, is doing and will do. Joy! Enjoying life and the work God has provided. Seeking God. In good times, and in hard times. Especially in the hard times. 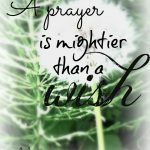 Prayer: Praying through struggles, progress, setbacks, jump-starts, trials and blessing. Spiritual Growth Mindset says despite past mistakes, flaws, and sins, God uses anyone who is willing to follow Him. Because God is eternal and the giver of life, nothing is fatal. Nothing is final. We are never stuck or without hope. We can change, heal, and grow. The lame leap, the dumb speak and the dead live again. Eliza was in my math class a few years ago. She was growth mindset waiting to happen. Eliza never met a math problem she couldn’t conquer. No, she wasn’t the SMARTEST kid in my class—she was the WORK-HARDEST kid in my class. I knew when she was struggling because she self-talked out loud. “I will get this problem. I can do this! and then she’d try and try again. Let’s change our minds, change our words and change our destiny. Because God is almighty and all powerful, I can beat ___________________ (name your obstacle). With God, I WILL over come this fear of ___________________. God, because You are on my side, I will not bow down, walk out, give up, or turn back on __________________. God is working _________________ for my good and His glory. 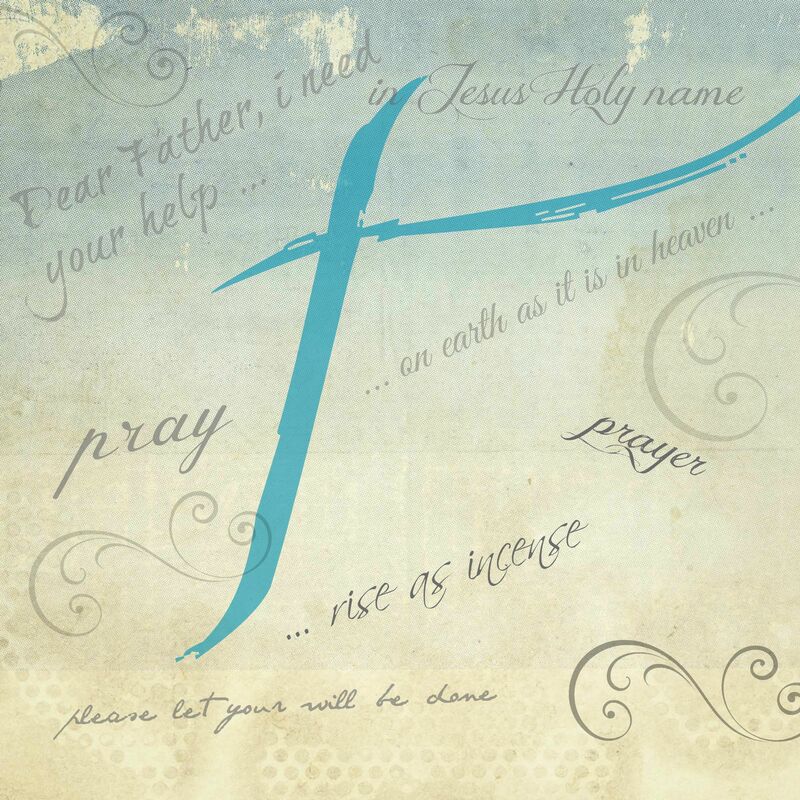 God, because I know You’ve got this, I will by faith _________________ (name a next step). With a growth mindset, the Little Engine made it over the mountain to the sunshine valley on the other side. Use your Spiritual Growth Mindset and speak to that mountain. Tell it in the name of Jesus to get out of your way. Watch your words and thoughts. Quit with the defeatist words and attitudes. NOBODY likes to listen to a pity-party—especially God. Get you some God words and thoughts. Find a few Bible verses that speak truth into your situation and say and pray them as often as needed. Keep on keeping on. Never give up. God is the victor and He always wins. The more Word you put in your heart the more you will be changed. A changed mind leads to a changed heart which leads to a changed life. Leave me a comment and let me know how your life is changing. I’d love to hear from you! I have been guilty of a fixed mindset for too long. I am going to print this out and read it everyday until it sinks deep into my mind and spirit. I think it’s also important to remember that we can expect challenges, like “work-hardest” Eliza had, but we can also persevere through them. I love her story. Jane, we need to constantly watch our words and shut down the fixed mindset when it tries to sneak in. Imagine if David or the little boy with the 5 loaves and two fish had a fixed mindset? 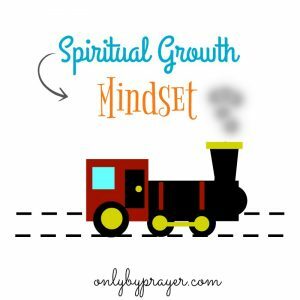 A spiritual growth mindset is a walk of faith! God is good! Great point! Thousands of people would have missed out on a miracle, and David would still be in the fields.